DAVID J. SCHMIDLY was born and raised on a cotton farm in west Texas and was the first member of his family to graduate from college. In 1966 he received a B.A. degree and in 1968 an M.S. degree, both from Texas Tech University, and a Ph.D. degree from the University of Illinois in 1971, all in Biology and Zoology. He has been recognized as a distinguished alumnus at both of these institutions. 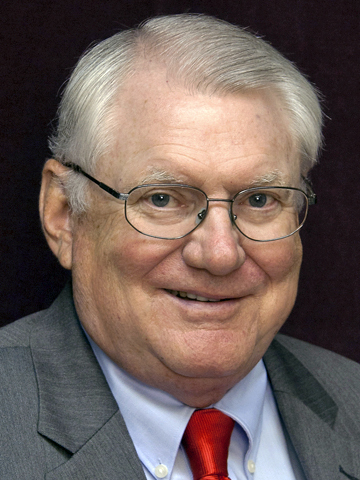 Dr. Schmidly was President of the University of New Mexico from 2007 to 2012. He served as President and CEO of Oklahoma State University from 2003 to 2007 and as Vice President of Research, Dean of the Graduate School and President at Texas Tech from 1996 to 2003. He started his academic career at Texas A&M University in 1971 where he served as head of the Department of Wildlife and Fisheries Sciences from 1986 to 1992 and as Chief Executive Officer and Campus Dean at Texas A&M University at Galveston from 1992 to 1996. Dr. Schmidly has served on many higher education boards, including the Executive Committee of the International Association of University Presidents; the Council of Presidents of the Association of Governing Boards of Universities and Colleges; the Board of Directors, Hispanic Association of Colleges and Universities; and the Board of Directors, American College and University Presidents’ Climate Commitment. As a strong advocate and supporter of college athletics, for several years he was a Director and member of the NCAA Executive Committee and served for two years as chair of the Big 12 Conference Board of Directors. Dr. Schmidly is an internationally respected researcher and scientific author and has been inducted into the Texas Hall of Fame for Science, Mathematics, and Technology. As a noted scientific naturalist, he has authored nine natural history and conservation books and more than 100 scientific articles. He was selected as an honorary member of the American Society of Mammalogists, the most prestigious recognition awarded by that scientific society, and is a Member of the Explorers Club of New York. Dr. Schmidly’s association with Capital Formation Counselors, Inc.® began in 2013 as Vice President of this corporation devoted to the long-term preservation of private capital.